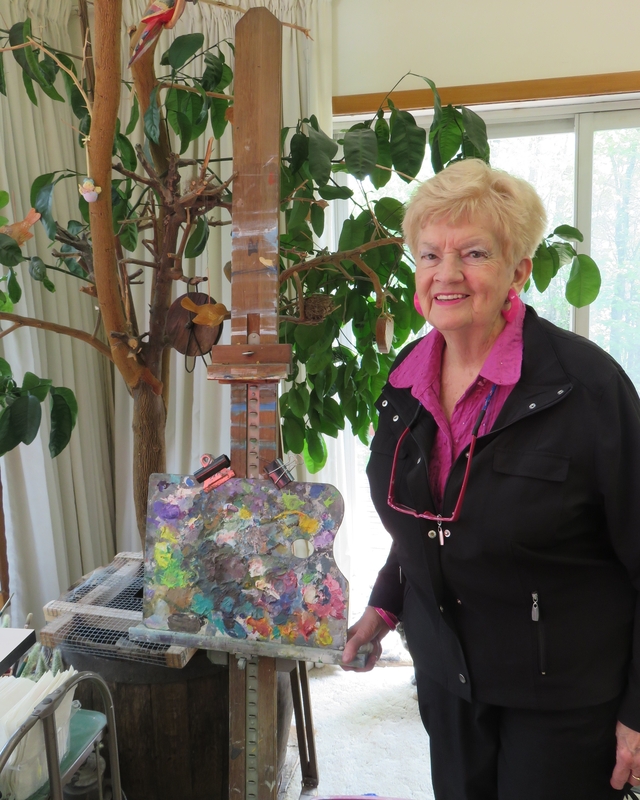 Shirley Gibson-Langille was born in Toronto, but now calls Kingston home, where she is very active in the arts scene. As a Romantic Painter, Shirley works on location, taking the time to connect with her subject, always with a feeling of joy for the love of things just as they are! Over the past many years, Shirley has given and continues to give her artists' perspective to so many of the unique nooks and crannies of Kingston, as well as the other special locations she captures in her work. Art Courses: Queen's University, St. Lawrence College, Kingston, Mary Schneider School of Fine Art Actinolite, Ontario. Italy France, and Spain. Participation: Ambassador of University Hospitals Kingston, LeRoyer Patron of the Hotel Dieu Hospital, Founder and 1st President of the Kingston Artist's Workshop in 1960. In these ways, Shirley’s art is not only recording and communicating the society around her, but is contributing to it as well!